Jeremy began to follow Jesus when he was 8 years old. He admits his faith journey has had many twists and turns since then, but has found Jesus to always be faithful, even when Jeremy feels faithless. Jeremy came to Community of Hope in 1999 as a Grace College freshman looking for a church family. He became the Associate Pastor of Community of Hope in 2008 and was promoted to Senior Pastor in 2011. He is passionate about teaching complicated ideas in a simple way for those who want God's power to invade their lives. He loves to teach the Bible, counsel with people, and otherwise live life with people who genuinely want to go on a faith journey with others. He loves to hear people tell their stories, even when God's not done writing the conclusion. He also enjoys helping people discover how to make use of the gifts and abilities God has given them and use them for God's Kingdom. Jeremy and his wife, Tonya, have been married since 2004. They have six kids: Emma, Isaiah, Hudson, Evie, Elliott, and Ruby. They like to be outside, play games together, travel, wrestle, read books, and laugh a lot. Sue came to Christ at an early age and is still learning to follow Jesus daily. Helping kids know and love Jesus has been a lifelong passion. The words of Psalm 78:1-7 have greatly impacted her life and ministry. “…I will utter hidden things, things from of old…We will not hide them from their descendants; we will tell the next generation the praiseworthy deeds of the LORD, his power, and the wonders he has done then they would put their trust in God and would not forget his deed but would keep his commands.” There is no greater responsibility or privilege than to teach our children to walk with Jesus. 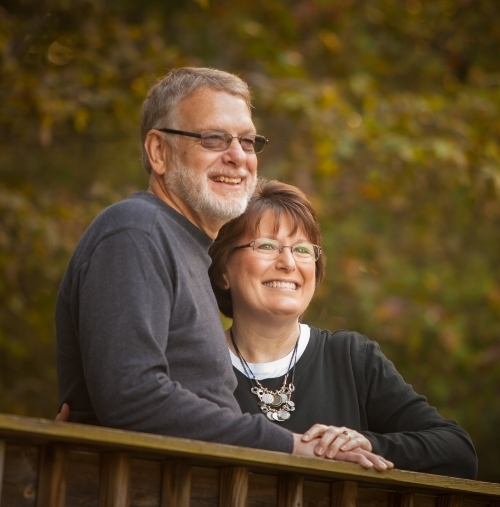 Sue and her husband, Terry, have been part of the Community of Hope family since 2008. They enjoy spending time with their family; two daughters and sons-in-law and four absolutely amazing granddaughters. She also enjoys being outside, walking & hiking, and reading. Amy's relationship with Jesus began at a young age and has grown and been stretched as she has grown. She looks forward to the continued journey towards the deepening of her faith, understanding, and love for Him. Amy has a heart for social justice and for advocating for those who are oppressed. Jesus' instruction to care for "the least of these brothers and sisters" resonates deeply with her. Amy and her husband, Tom, have been married since 2010 and joined the Community of Hope family in 2011 when they moved to Indiana. Since then, they have welcomed their dog, Lexie, and their daughter, Felicity, into their family. They love to be outdoors year round enjoying God's beautiful creation. Amy also enjoys working hard to build and create things with her hands. Sue came to know the Lord through connecting at Community of Hope and the Spirit’s calling in her life. Sue first started attending community of Hope through a connection with the Kid’s community ministry team. Now, she facilitates cleaning and maintenance projects in the facility. She is passionate about helping others with their faith journey and helping develop a relationship with God in the lives of children. Sue currently attends Community of Hope with her son, Trey.